7 years ago I started Ewe Ewe Yarns with 7 colors of Wooly Worsted and a big dream – I wanted to own my own yarn company and build a business that I loved – and somehow here we are! Thank you for your years of support and emails of encouragement. I've enjoyed growing this business more than I ever thought I would! I'm excited to continue Ewe Ewe for another 7 years or maybe more. Take a look at the knitting and crochet patterns that have topped the charts here at Ewe Ewe Yarns. TOP SPOT: The Sweet Pea Baby Blanket is the all-time #1 best-selling pattern at Ewe Ewe Yarns and you can see why! It's simply breathtaking and when knit with Wooly Worsted washable yarn it's easy-care for new parents. Any baby would love to have it! BEST HAT: This trio of hats has one for everyone! Family of Hats uses 1 ball of 2 colors of Wooly Worsted yarn for any size. Choose two colors that you love and watch them fade from one to the other with chunky progressive stripes. BEST CROCHET: Nothing shows off the magic of crochet like granny squares. The Wearever Wrap is big half-granny that shows off your favorite color palette in a funky and modern way. BEST MITTS: Cute and fast! The Quick Cable Wrist Warmers are as fun to knit as they are nice to wear. These squishy fingerless gloves are knit with 2 balls of Wooly Worsted which means you can wash them whenever you need! BEST SWEATER: Seamless, top-down, easy to knit and easy to wear. The Zoey Cardigan will be one you'll grab over and over in the winter. 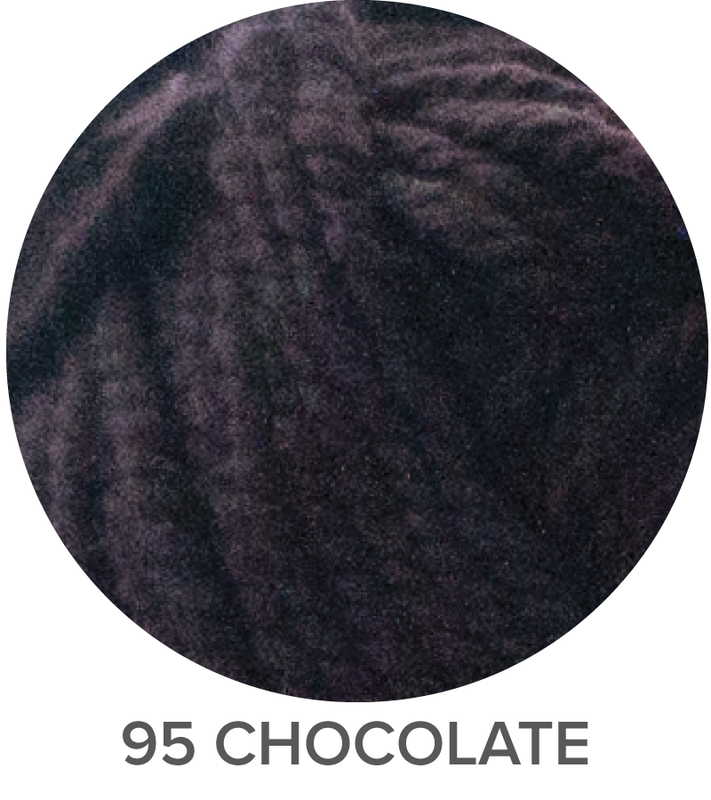 It's so soft in Wooly Worsted yarn so knit it in colors you love. BEST BABY ITEM: After the blanket above, our next best baby item is the Easy As ABC Baby Sweater. This adorable top-down raglan is perfect for a quick gift Plus, in Wooly Worsted washable yarn it's easy to throw in the washer and dryer! BEST SCARF: To infinity and beyond! The Happy Cowl is a generous circle scarf that features a pretty spiral rib pattern. Knit this project in a color that matches your fall wardrobe and you'll wear it all the time! Introducing the Sporty Forty KAL with Elizabeth Smith! Changing yarns, or substituting the yarn is easy when you know what you need. In this series I talk about a knitting or crochet pattern and how much Ewe Ewe yarn you'd need to complete it. Get the pattern here. See Wooly Worsted yarn here. Visit a Ewe Ewe yarn shop. There are so many great color combinations you could put together to make this sweater your own. Here are a few examples that I found on Ravelry that would look great in a Wooly Worsted combination or two. 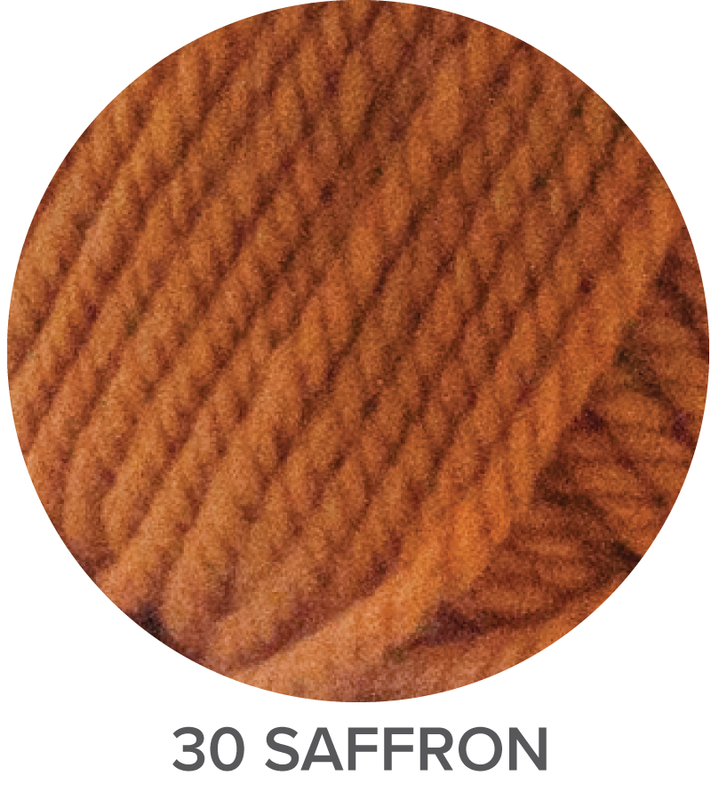 A Wooly Worsted yarn color combo of Saffron and Vanilla would be great. Or maybe Charcoal and Brushed Silver? You could make this sweater in Sky Blue with a hint of Red Poppy Wooly Worsted on top. Or try Brushed Silver with Lavender detail. 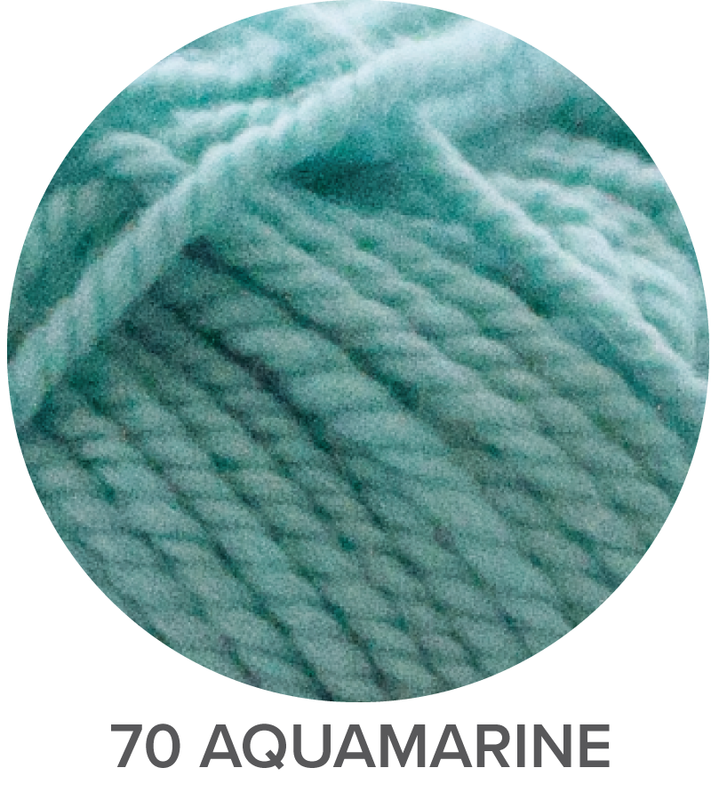 See Wooly Worsted yarn here. Get the pattern here. Visit a Ewe Ewe yarn shop. Remember that yarn amounts are never exact. Each knitter has their own tension when holding the yarn and that can change the final yardage amounts. We come close with our skein numbers but it's always smart to grab an extra ball or two just in case! While we have a lot of knitting patterns here at Ewe Ewe Yarns we can't have every idea under the sun. Ewe Ewe Wooly Worsted yarn is a great worsted-weight merino yarn that can work for a variety of really popular knitting patterns. Changing yarns, or substituting the yarn is easy when you know what you need. Luckily most sweater pattern descriptions on Ravelry tell you how much yardage it takes to complete a project. Ewe Ewe Wooly Worsted yarn has 95 yards per ball so if a sweater takes 915 yards to complete then you would buy 10 balls of yarn. (915 yards needed ÷ 95 yards on a ball = 9.63 or 10 balls of yarn). Get the pattern here. See the yarn here. Visit a Ewe Ewe yarn shop. Humulus is a gorgeous yoke sweater with a single color Fair Isle color work stitch design. It would look stunning in Brushed Silver and Saffron Wooly Worsted yarn. Wooly Worsted Yarn Amounts: 12 (12, 15, 15, 15, 18, 18) skeins in MC; 1 (1, 1, 1, 2, 2, 2) skeins in CC. Big Sister is a relaxed open-front cardigan with awesome huge pockets. It's a seamless knit from the top down and it looks easy to make and even easier to wear! Wooly Worsted Yarn Amounts: 13, 14, 15, 16, 18, 20 skeins. Stillwater is another seamless top-down sweater but this one looks fast to knit! The pattern looks so comfortable and Pistachio Wooly Worsted yarn would look perfect in this one. Wooly Worsted Yarn Amounts: 8 (9, 9, 10, 11, 11, 12, 13, 14, 16) skeins. Harvest is designed for anyone and everyone that you can think of! This sweater would look great on any age and so they've designed it to fit from an infant to a 4XL. Crazy awesome! Wooly Worsted Yarn Amounts: 3 (4, 5, 6, 7, 8, 9, 11, 12, 13, 14, 15, 16, 17, 18, 19, 20) skeins. Big and relaxed is so in right now. The Veronika Cardigan seems like the best thing to throw on and run out the door because it will look fabulous with everything. Wooly Worsted Yarn Amounts: Size 1: 14 skeins, Size 2: 17 skeins, Size 3: 18 skeins. Oh man, do you have any knitting friends that haven't made a project by Joji? Worsted Boxy is so cool and would knit up perfectly in Ewe Ewe Wooly Worsted. Just choose your favorite color! Wooly Worsted Yarn Amounts: 11 (11, 12, 13, 14, 15, 16) skeins. Fog Cutter is just to die for! I adore this sweater and I'm sitting here wondering why I haven't cast one on for myself. It would look stunning in Vanilla Wooly Worsted or just about any color. Wooly Worsted Yarn Amounts: 13 (14, 15, 15, 16)(17, 17, 18) skeins. 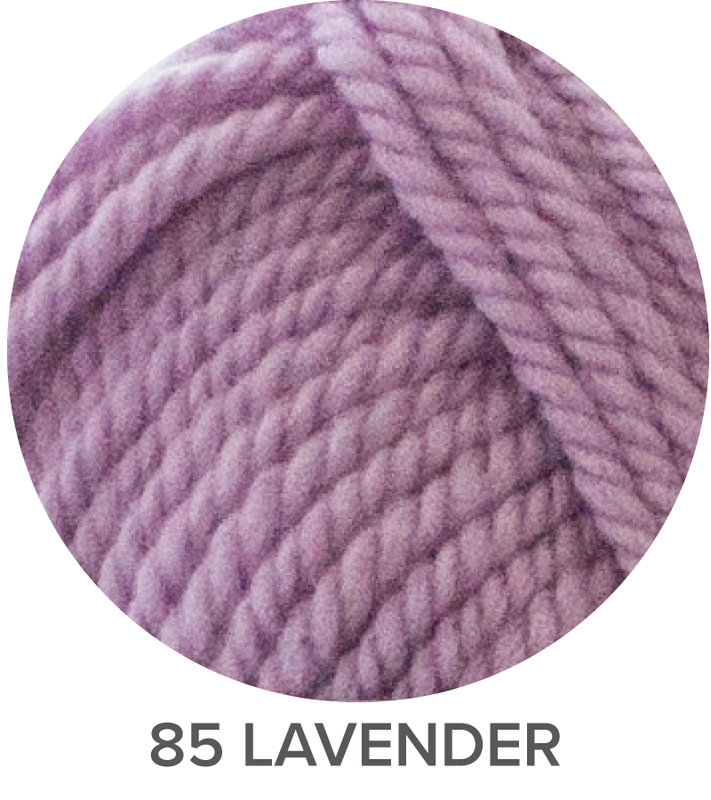 Wooly Worsted merino yarn comes in a beautiful palette. Take a look at our Brushed Silver or Wheat for a pretty neutral shade. Or maybe you'd like a rich Sapphire blue or Teal green sweater.